Mark Elliott is the Founder and Senior Instructor of the Isle of Wight Karate and Martial Arts Academy. Graded 6th Dan in Shotokan Karate with The Shotokan of England Karate Union. 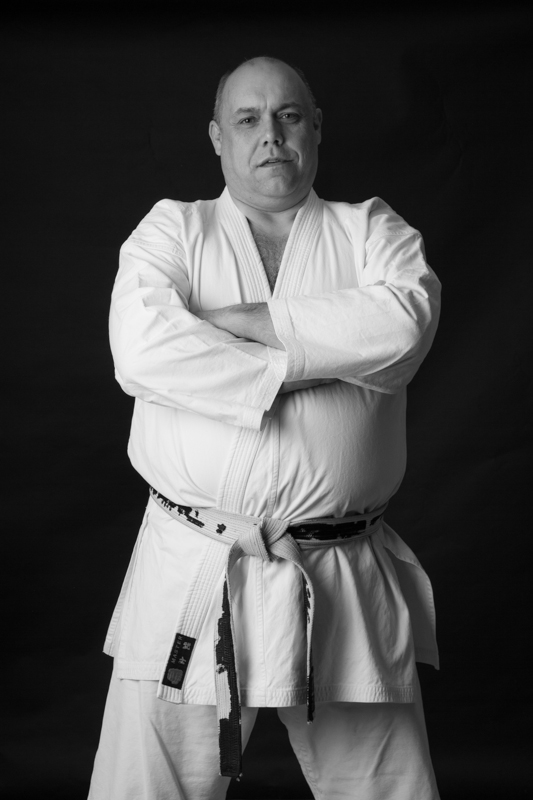 Mark started his martial arts and combat sports career in the early 70’s firstly at Boxing and then Judo, until he found a home in Shotokan Karate. The Isle of Wight Karate and Martial Arts Academy (formally Karate and Self Defence Club) was established in 1984. The aim of the Academy is to teach Karate and Martial Arts in a family oriented environment. We teach children the core principles of all Martial Arts, Respect, Discipline, Correct Attitude and Spirit, Development of Self Esteem, and Confidence which will benefit them while growing up. We also provide a fully inclusive environment where children or adults with special needs are fully catered for. As well as children, we teach adults, men and women of all ages and abilities, and fitness levels. As well as teaching traditional Shotokan Karate, Mark is qualified as a full Ghost Boxing instructor under Phil Norman and an associate MKG instructor in Filipino Martial under SIFU Rick Faye.